If you have Uber downloaded to your iPhone, you may find the app is tracking your location even if you haven’t used the cab-hailing app for weeks or months. Some users noticed the app had been activating location settings even when not in use and Uber has now clarified why. According to a statement provided to TechCrunch, Uber tracking on iPhone is sometimes triggered by the iOS Maps extension – which launched in September 2016 – and is not controlled by Uber itself. Not every iPhone user is affected by the problem – you can find out if it’s happening on your iPhone by going to Settings, Privacy and Location Settings. If the arrow next to Uber is purple, the app has recently tracked your location and if it’s grey it did it within the last 24 hours. A spokesperson for Uber told TechCrunch, “For people who choose to integrate ride sharing apps with iOS Maps, location data must be shared in order for you to request a ride inside the Maps app. That would probably be the best course of action if you’re worried about Uber tracking your location. This problem comes weeks after Uber revealed it would now track your location for five minutes after each journey. 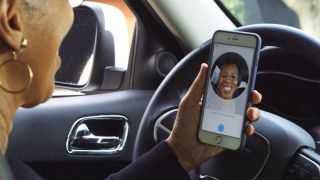 Uber claims the new information would be used to help the company improve drop-off and pick-up accuracy in the future, but do you want Uber to know exactly where you go right after you get out of its cars?